Change Keymap to VS shortcuts? 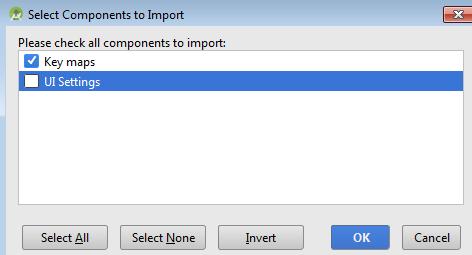 Download .jar file, and choose import in Android Studio. See also this on stackoverflow. I think it is best to only import keyboard shortcuts for now. alt + f1 –> When in a file, go to the project explorer ect.